My two year old daughter started showing an interest in writing when she was just about 1 year and 8 months old. Every time she sees a pen and paper she would say “write”. Since kids learn faster when they are interested in a task, I decided to search for an appropriate tool that can help her learn to write. And I found one at Apple’s Variety Shop, The Erasable Traceable Writing Board. Given my daughter’s age, I didn’t want to start her of with writing exercises or tools that are designed for school aged kids. 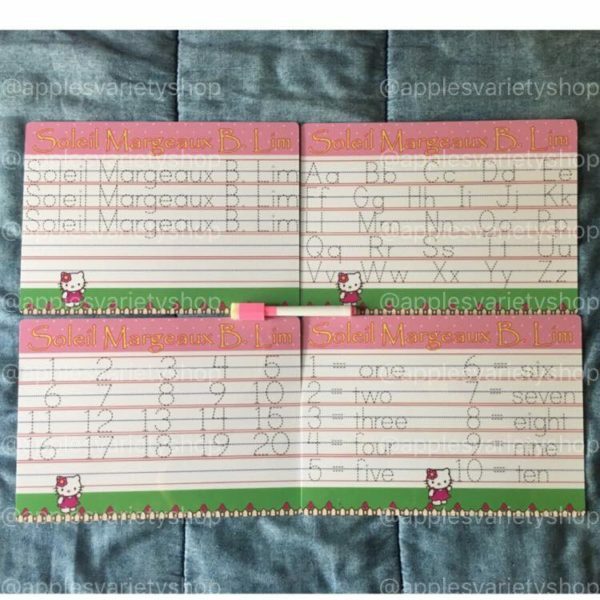 The beauty of the Erasable Traceable Writing Boards is that it is easy to use. 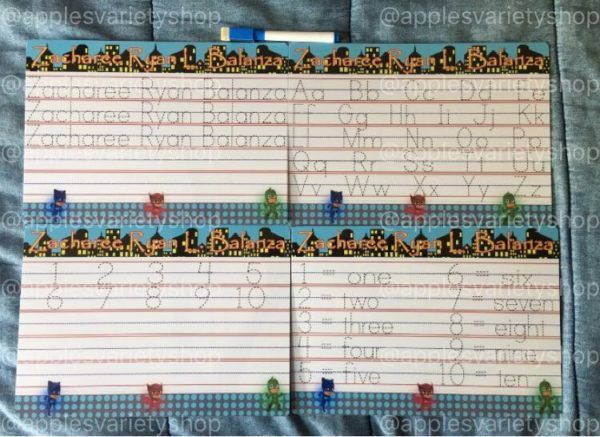 You don’t have to write hard on it as you would with pencil and paper, and it already has dotted lines that your child can simply trace. It is also easy to erase the board once the child is finished with a page or in case they make mistakes. Since it’s erasable, your child can practice writing as long as they want. 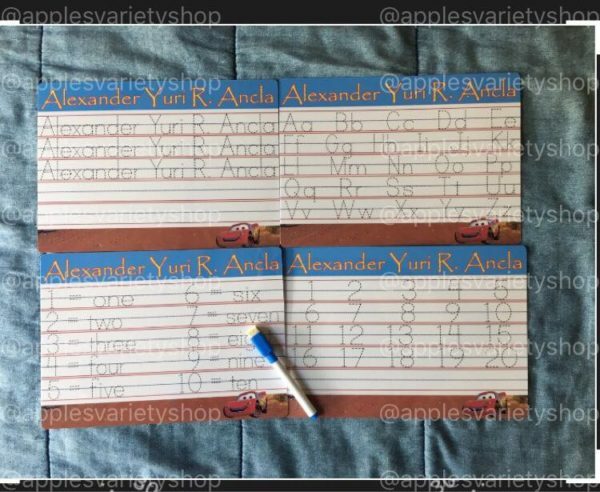 You can get the Erasable Traceable Writing Board for Php280 plus Php50 for the marker and eraser. There are several writing boards to choose from. 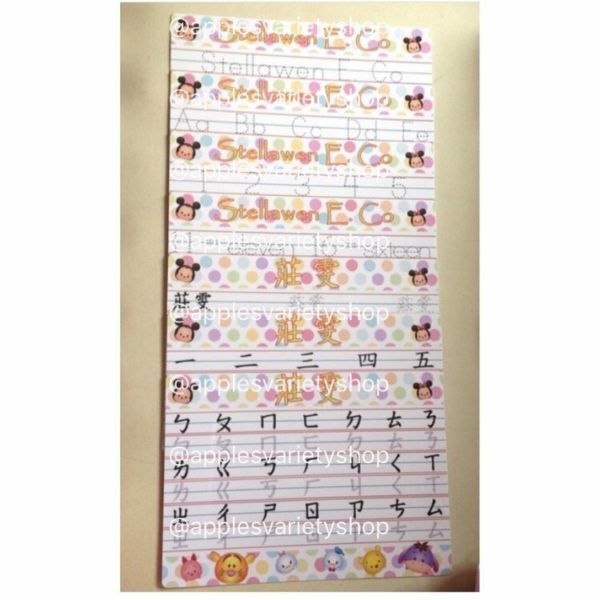 These include: Name in Print & Cursive, Alphabet in Print & Cursive, Numbers Only 1-20 & 21-40, and Numbers with Spelling 1-10 & 11-20. We got the Numbers Only 1-20 board for my daughter. 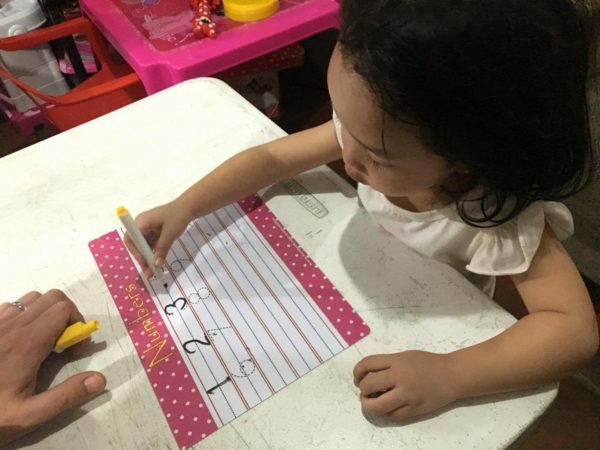 She is still figuring out how to trace the numbers but she is excited to use the board. We will continue to help her out little by little until she gets the hang of it. The Boards are available at Apple’s Variety Shop, an online store that offers fashion and home knick knacks. You can get them in a Set of 4 that already comes with a marker and eraser for only Php1080, or a Set of 7 for Php1890. Boards are personalized and customized according to your preferences.